Muncie, Ind. — Building on Mike Baird’s 2nd place finish at Michigan State, Cards earn a top-25 in the Men’s event and a top-15 in the Women’s group. The unique distance Muncie Man Triathlon served as the MECTC Conference Championship. 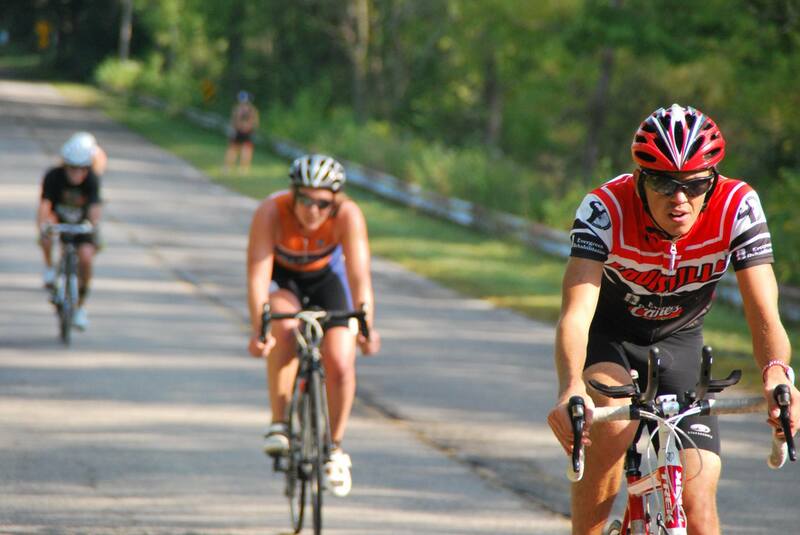 The difficult Muncie Man Triathlon featured a 1.5k swim, a 61.8k bike, and a 15k run. An Olympic triathlon typically consists of a 1.5 k swim, 40k bike, and a 10k run. With double MECTC point-values at stake, Cardinals Mike Baird, Rikus Van Zyl, Nicole Knapp, and Emma Coakley turned out excellent results for the new team. Baird led the group in 23rd place with a time of 2:26:16, saving the day with swift transitions and dashing bike and run legs. Van Zyl, best known for his memorable performances for UofL Cycling, finished 39th in the men’s field of 63. His best leg of the race was the bike, with a time of 1:11:19. Nicole Knapp led the women with a 15th place finish, pushing ahead with an overall time of 2:56:13. Knapp excelled in the run with a time of 48:15, placing herself in 2nd place behind eventual winner Elaine Sheikh of Michigan State. Emma Coakley slotted in at 31st in the women’s category, blazing ahead to 15th overall in the swim portion, 2nd in the women’s group only behind Meredith Bell from the University of Michigan. Previously, Mike Baird finished 2nd overall in the Michigan State Spartan Sprint Triathlon on August 15. 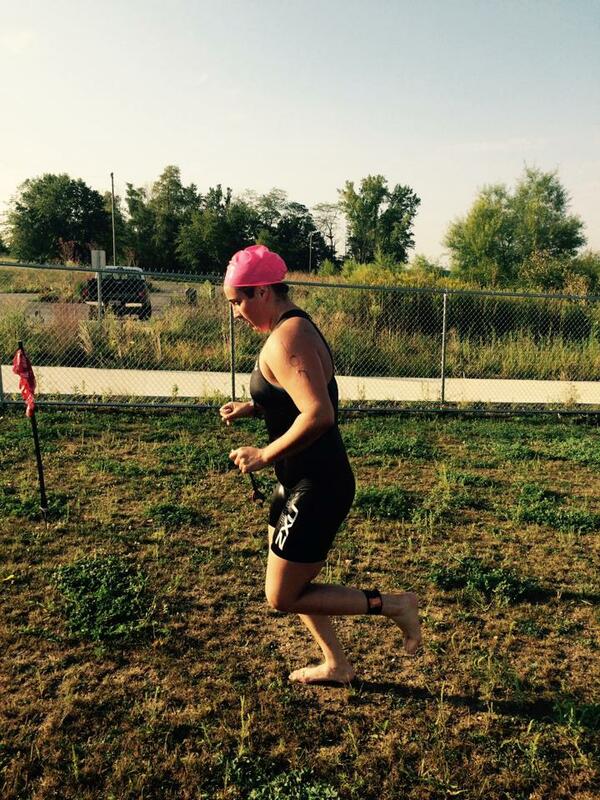 Baird became the first UofL Triathlon athlete to compete in the MECTC since the team was reinstated. At the time of publication, the conference standings had not been updated. 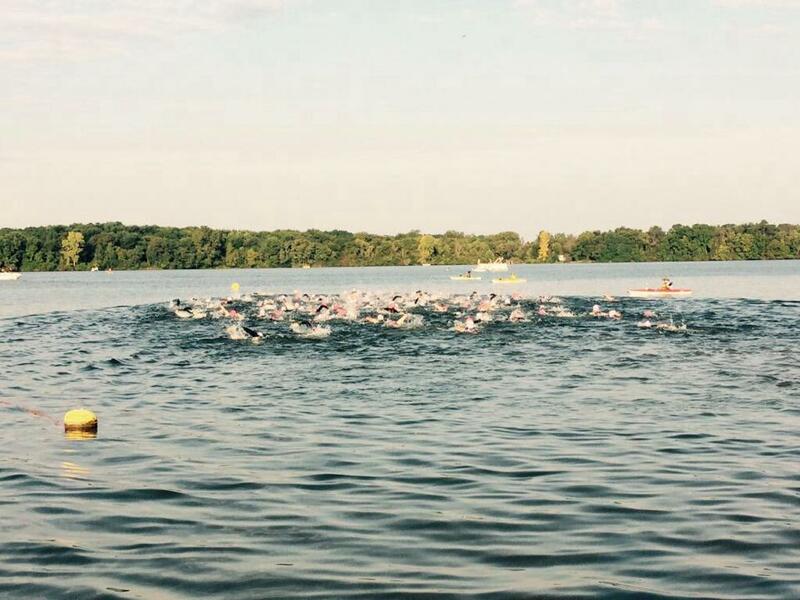 UofL Triathlon sits in 14th place ahead of Purdue University. The team is preparing to race at the University of Dayton Sprint Triathlon on Sunday, September 13th, in Dayton, Ohio. UofL Triathlon is a partner of UofL Cycling and is operated by the Student Cycling Coalition, Presented by Evergreen Rehabilitation. The 96-strong collegiate field in the water. Emma Coakley runs out of the water into transition. She had the 2nd fastest women’s swim.